At least 13 people were killed with dozens more injured during a nine-hour assault by armed assailants on the American University of Afghanistan in Kabul late Wednesday in an attack that has put decades of conflict within the country back in the spotlight. 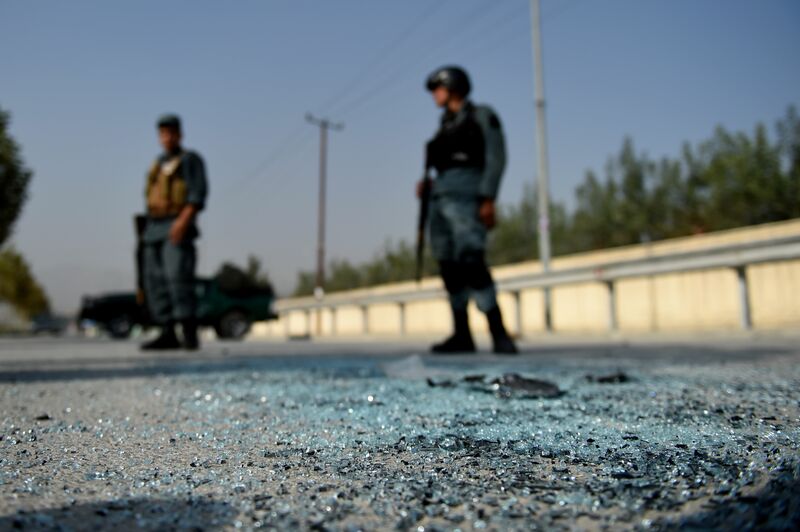 Although no group has stepped forward to claim responsibility for the attack, the school was long thought to be a target of the Taliban due to the university's Western model of co-education. The attack comes just days after the Pentagon announced it had deployed 100 U.S. troops to Helmand Province to help combat recent "tactical victories" made by the Taliban. Assailants reportedly used a truckbomb to blow a hole through the university's security wall and gain access to the campus, where they injured more than 30 people and killed seven students, three police officers, two university security guards, and the guard for a neighboring school for the blind, a spokesman for the Kabul Police said, according to the New York Times. The paper notes the Health Ministry reported conflicting numbers, estimating 16 people had been killed and 53 others injured in the attack. Wednesday's attack wasn't the first time the American University of Afghanistan has found itself the target of militants. Two professors, identified by Fox News as American Kevin King and Australian Timothy Weeks, were reportedly kidnapped Aug. 7 in Kabul at gunpoint. The attack on the American University of Afghanistan came roughly three days after Pentagon Press Secretary Peter Cook confirmed that 100 U.S. troops had been deployed to Lashkar Gah in Helmand Province, a region that has seen heavy fighting as Afghan security forces struggle to push back Taliban forces, which are thought to control more than 50 percent of the province, according to the Wall Street Journal. According to Cook, the recently deployed troops have two primary functions: "first to provide training, advice, and assistance to the police zone headquarters there in Lashkar Gah, and second to provide force protection for those actually doing the advising." Cook stressed the troops' deployment was not permanent, but merely a temporary effort to train, advise, and assist embattled Afghan National Defense Security Forces. Fighting has continued in the country, with Defense Secretary Ash Carter revealing Tuesday that a roadside bomb in southern Afghanistan had killed a U.S. service member on an advisory mission. Continued conflict has caused President Barack Obama to modify plans to withdraw all but 1,000 U.S. troops from Afghanistan by the end of 2016 to leave 8,400 troops in place. While no group has taken responsibility for the attack on the American University in Afghanistan, the Afghan National Security Council claimed Thursday to have evidence plans for the attack were made in Pakistan, where the Afghan Taliban makes its home base. In the wake of the attack, the American University of Afghanistan has closed its Kabul campus until further notice.